Last lake lot left! Great opportunity to design & build your new home with Holthaus Building in the gated Reserve neighborhood of Meadowbrook Park-Prairie Village's newest luxury community. Surrounded by an 84 acre park, lakes, & 3.75 miles of trails, you will enjoy the close-in location & being surrounded by unique homes of classic architecture built w/ quality craftsmanship & the highest attention to detail. This maintenance-provided neighborhood includes lawn care, snow removal, & tree & shrub care. From 95th & Nall, go north on Nall to Meadowbrook Parkway, turn right and follow to Cedar Reserve Drive, turn right, go through gates, and turn right to first right to lot by lake. 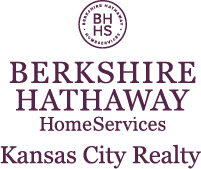 I am interested in 9330 Juniper Reserve Drive, Prairie Village, KS 66207.